Its really difficult to sew something for yourself when you have no dedicated space. I am, however, amazed at your machine repairing skills. Its awesome. I’m sending some good sewing for yourself vibes. Oh, and tutorial coming soon in DIY labels. Not to enable or anything, but there are replacement tension springs, bobbin cases, bobbin winder o rings and shuttle bobbins at sew classic. I just bought all these myself (blush) as my husband brought home a beaten up 66K he thought I might like. So glad to see you treadling. What a lovely old machine! *big wistful sigh* Keep posting about your lovely treadles! I’ll own one again one day, I hope. 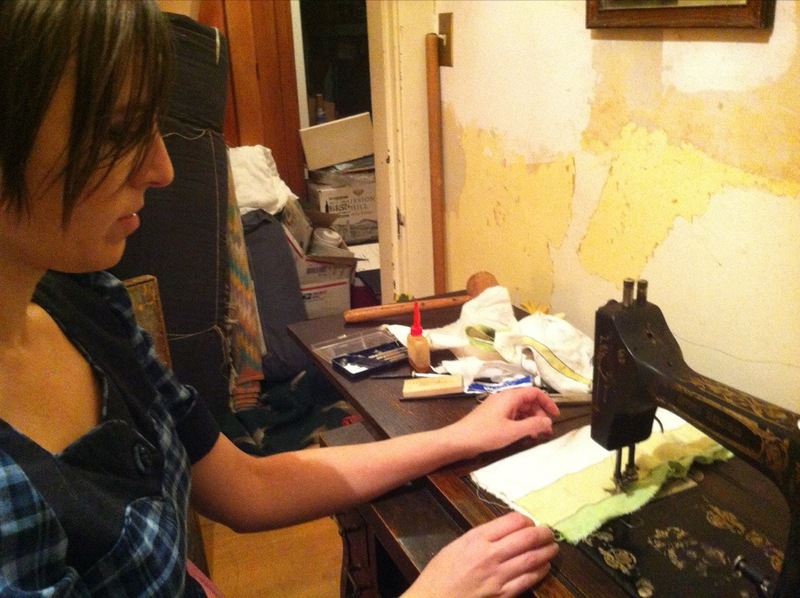 It was my favourite sewing machine ever. Good morning. I had several old Singers with gunk. The gunk clean off with a mild car rubbing compound. 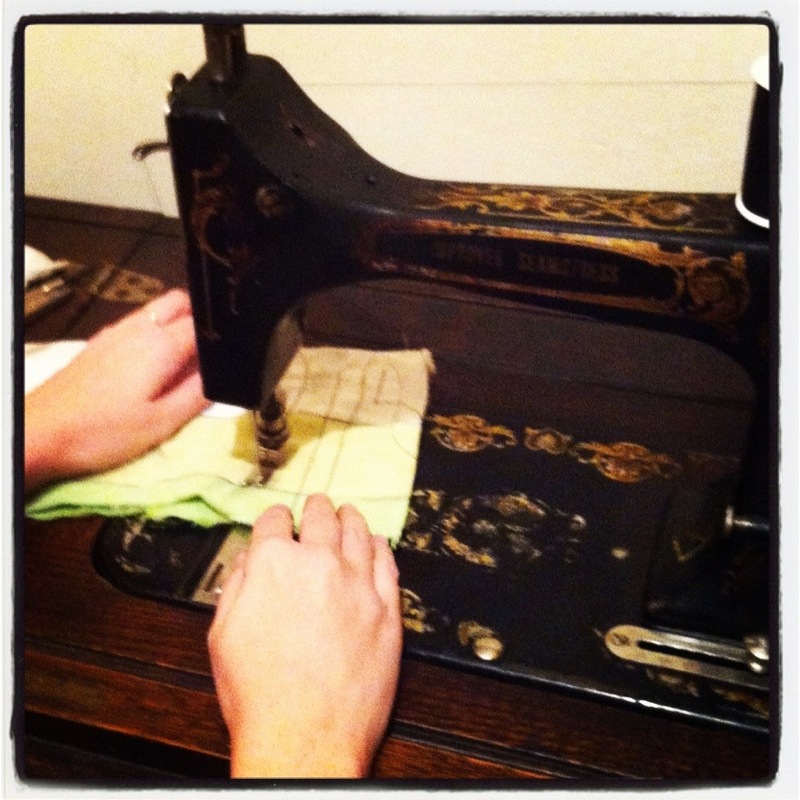 Reading about your old sewing machine rehab is so fascinating! I mean, I knew they were really different from modern machines, but I guess I didn’t realize just how different. Thanks for sharing with us! I really could have used a treadle this past week! It’s fun to see you get it up and running. Yeah, I was thinking about that with all the storm craziness. Although I think light would still have been a problem… 🙂 Glad you guys made it through safe! Please remember, all sewing machines need a good maintenance check up. The more computerized the more specialized the repair person. I had been having an issue with my 25 year old machine and finally treated it massively. I had been doing my proper oil, cleaning, etc and blowing it clean with the air compressor from garage. So I decided to buy a new one. 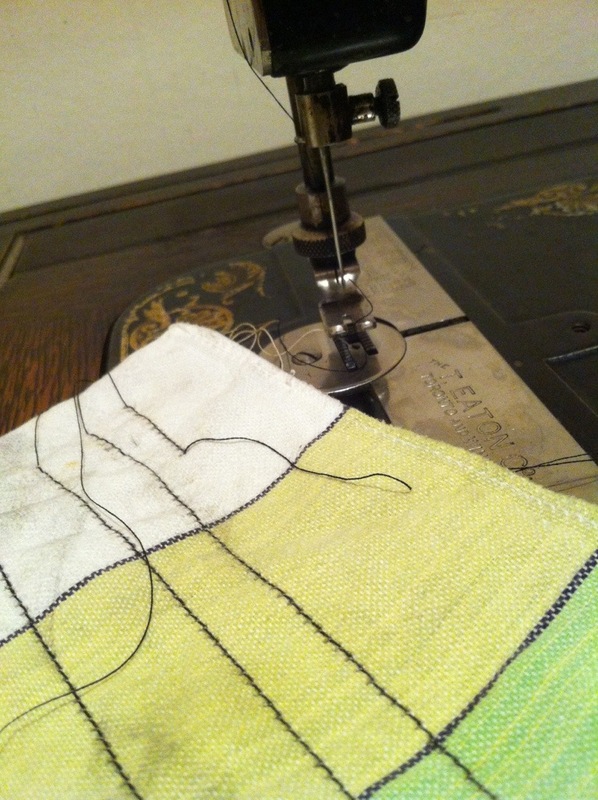 Pfaff with utility sewing – not fancy. And when I brought my new one in the house, my old one worked perfectly after that. Karma?Took my old machine to the shop of my new one and for $50 they went through it, tightened up, adjusted this and that, and now I have 2 machines to love. Since they don’t make machines like they did back when the Kenmore was new, I appreciate keeping it running. I paid $700 back then for the machine. Bells and whistles but nothing electronic. So I expect another 25 years with proper care. Don’t abuse it. Don’t mess with the tension unless you know what you are doing. I keep notes besides the machine if making adjustments. Don’t use cheap thread, match up thread with fabrics, and my rule of thumb I don’t let anyone use it unless I can verify they know what they are doing. And it does not leave my house. My husband has his sets in the basement for repairs of jeans, tarps, etc. On clean up day- where you can set things out to trash – one week a year – his seamstress got a new fancy one and set 2 good old machines out, stickers from there ‘rehab in the shop’ on them. I picked them both up. So we had 4 machines in the basement. Had another elderly friend who kept borrowing the simple one so her sister with dementia could use it – sew quilt squares. The last time she borrowed it I told her it was not to come back. It was hers.